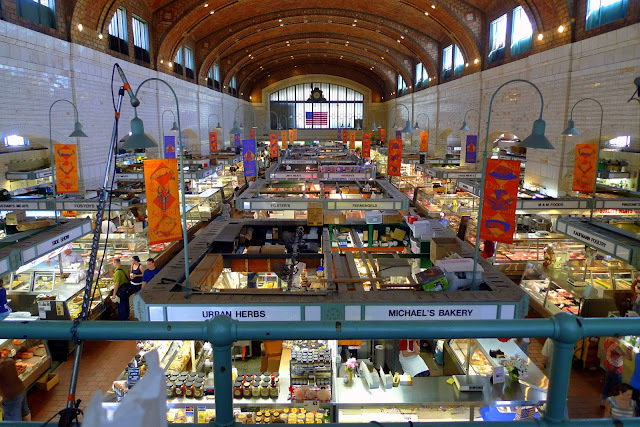 During my visit to Ohio, my Ma and Pa planned a trip to Cleveland’s century-old West Side Market, a temple to all things delicious. It’s a vibrant, bustling place, with a sense of purpose: seek out the juiciest plum, pick out the prettiest cut of marbled beef, find the most towering cake. 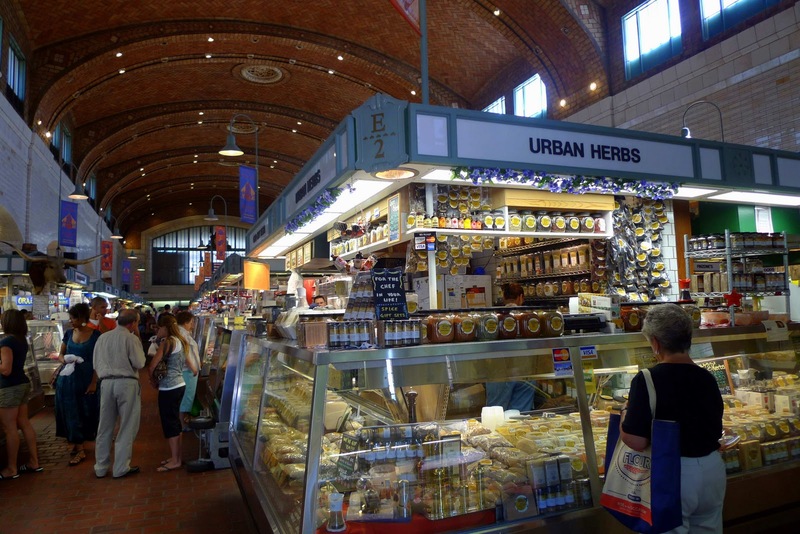 As with all food markets, the West Side Market tells a story about Cleveland, about the history of the area and the culture of the people who call this city home. 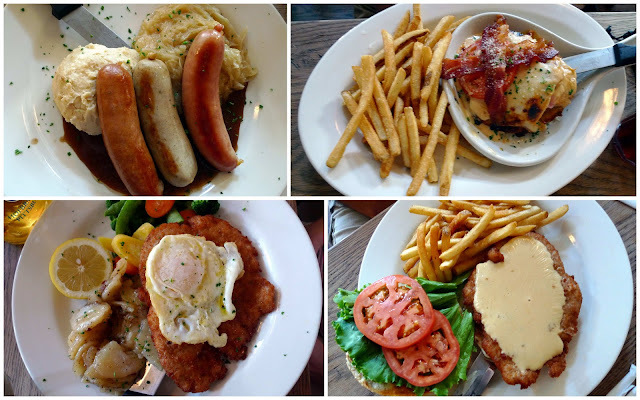 Owing to the large population of northeast Ohioans who can trace their family lineages back to Central and Eastern Europe, you’ll find sausages of all sizes and persuasions: white bratwurst, smoked Slovenian sausage, Hungarian kielbasa, German sausages and cured meats. You’ll also find endless varieties of pierogi, Amish cheeses, bacon. 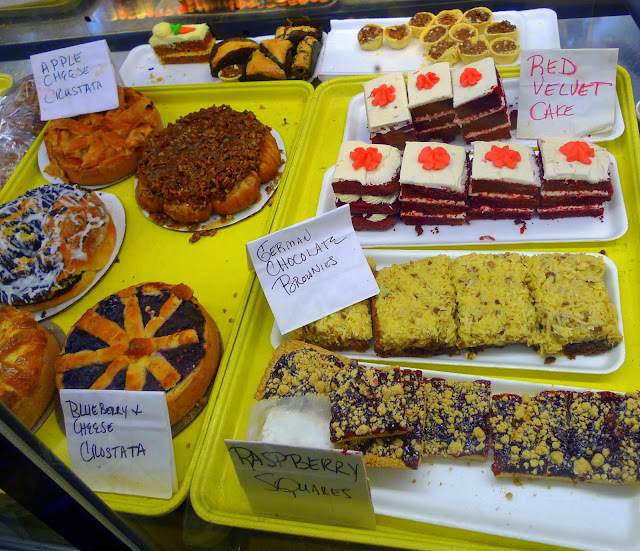 Other culinary influences are thrown in; a Mediterranean grocer, a European bakery, a Middle Eastern foods vendor, a creperie, Cambodian and Mexican stalls. 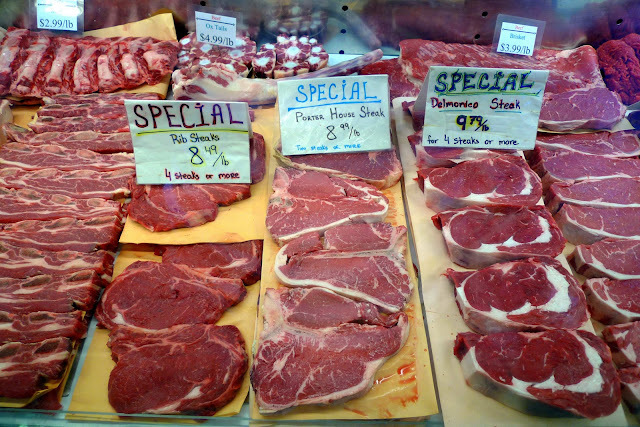 And you can’t ignore the piles of fresh red meat beckoning from every other stall. Czuchraj’s stall was loaded with not only jerky in a multitude of flavors but also other smoked stuff like Amish bacon, smokies (meat sticks), kielbasa, and sausages. 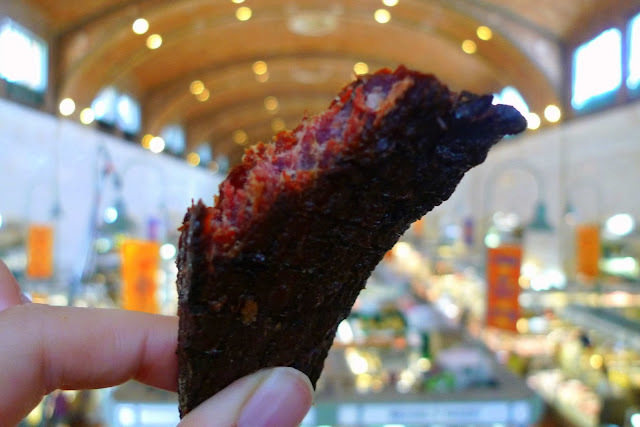 We ordered paper-wrapped sacks of honey-smoked jerky and smokies and made our way to the outer edge of the market. There, we climbed a staircase to an elevated space where we munched on jerky and watched the bustling world of the market below. 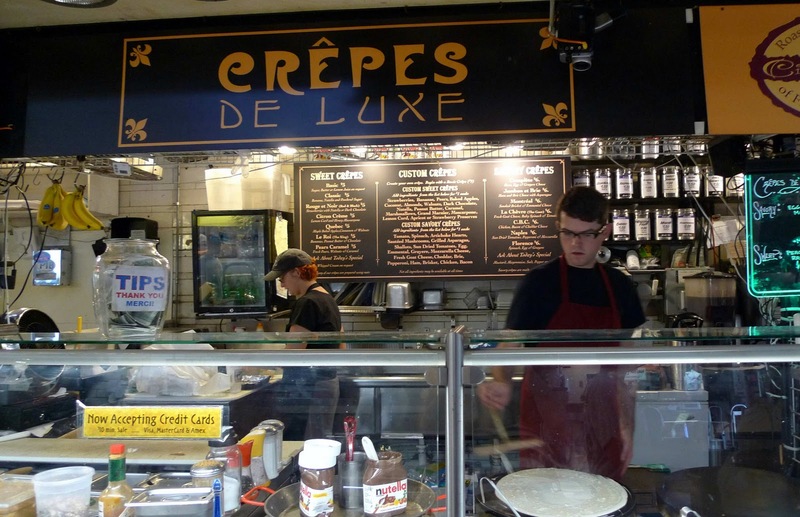 After we made our way back down to the main floor of the market, we spotted a crepe stand called Crepes De Luxe near the stairwell. My parents had never had a stuffed crepe before, so I ordered one with chevre, spinach, and tomato. With a swift and circular turn of the wrist, the crepe guy spread a thin layer of batter on the crepe griddle. He then sprinkled the batter with chevre, tossed a handful of spinach and tomatoes on top, and covered the griddle with a wide dome to allow the spinach to wilt and the tomato and chevre to warm through. 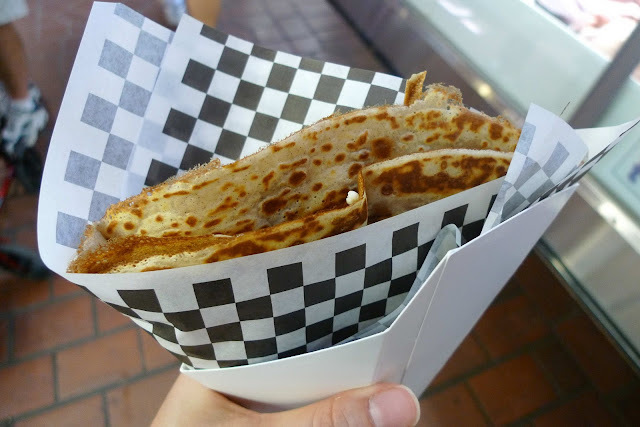 After a practiced amount of time, he removed the lid with a flourish and folded the crepe into a crisp triangular pocket. 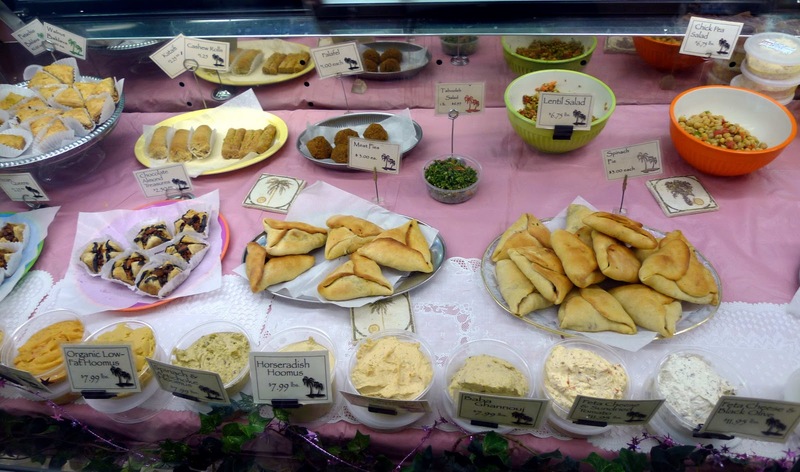 In the same aisle as the creperie is Judy’s Oasis, a stand that specializes in the foods of Syria and Lebanon. This kind of food is also foreign to my parents, so we picked up an assortment of items so they could get a sampling of Middle Eastern treats: spiced hummus, warm globes of falafel, and a spinach and feta pie pinched into the shape of a tricorn hat. 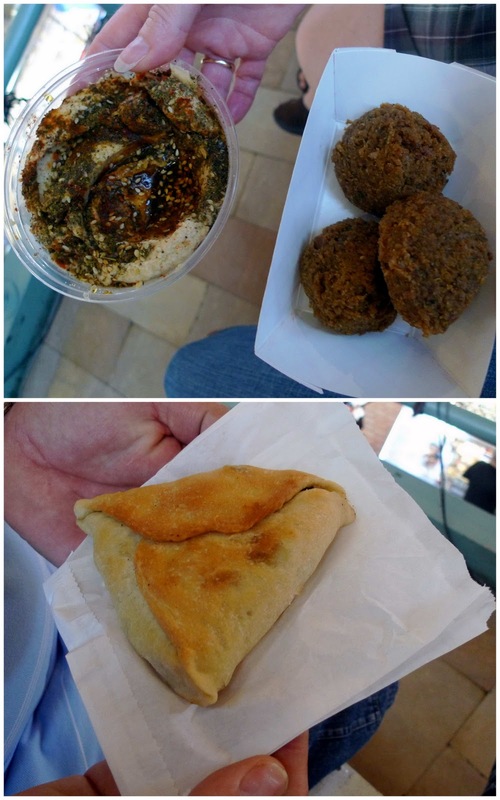 While my parents enjoyed trying something new, spinach and chickpeas aren’t enough to fill up a big guy like my dad. 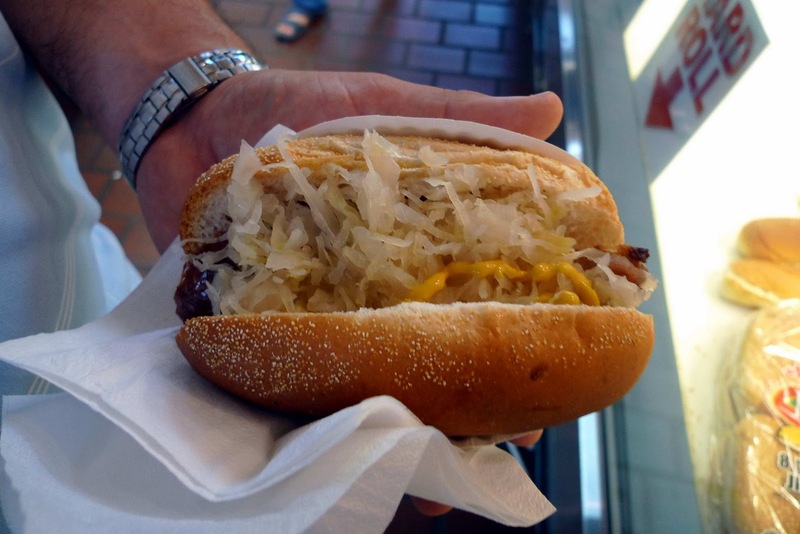 Thank goodness for Frank’s Bratwurst. 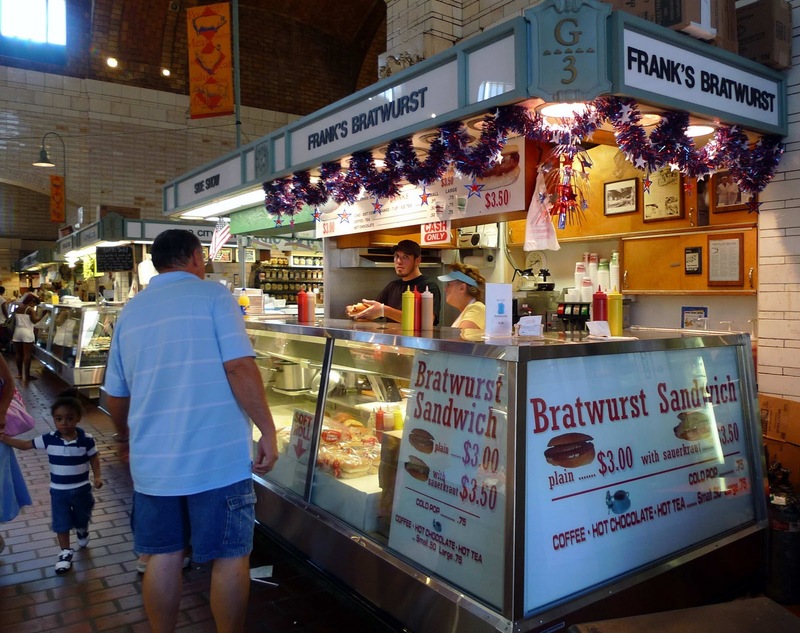 Frank’s has been slinging brats out of the same stand since 1970 and is run by the third generation of the Austrian Ratschki family. Whenever I visit Ohio I always try to get in my pierogi fix. 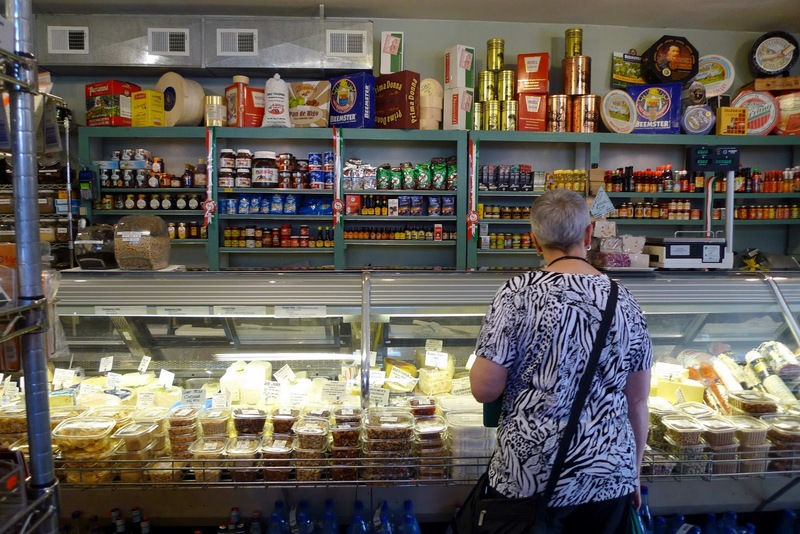 Descendents of Polish immigrants to the region craft some of the best savory dumplings I have ever eaten, and while I usually go for the traditional potato and cheese filling there is no limit to the combination of ingredients cooks devise to stuff into pierogi. Here at the West Side Market, the pierogi goes global with eclectic fillings such as Italian sausage, kraut with bratwurst, reuben, cream cheese and garlic, pork with tomato lime sauce, eggplant parmesan, Texas BBQ beef, refried beans with chillies, bacon double cheeseburger, and roast beef with horseradish. 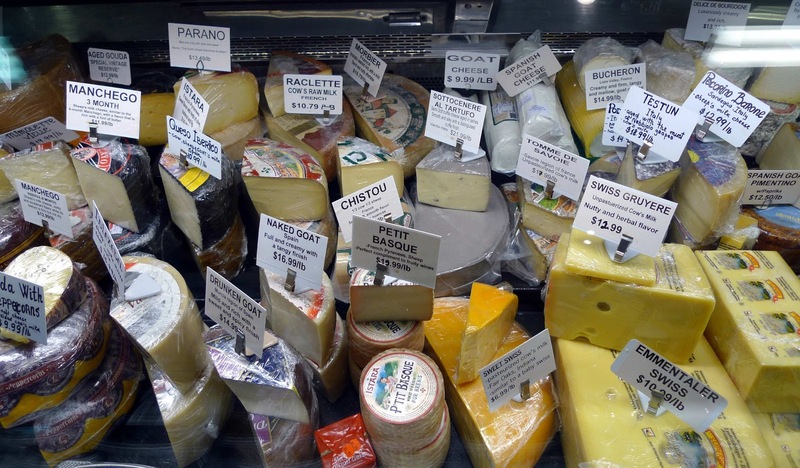 …and CHEESES. Lots of cheeses. My parents loaded up a box with dainty clothespins, a few slices of key lime cheesecake, and a German chocolate brownie or two. For later. 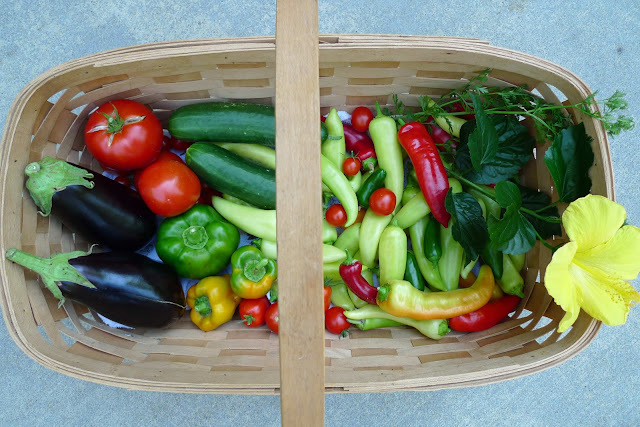 Back at home an or so south of Cleveland, my parents’ vegetable garden was heavy with red ripe tomatoes, glistening purple eggplants, peppers of all colors and varieties, cucumbers, and a variety of herbs. 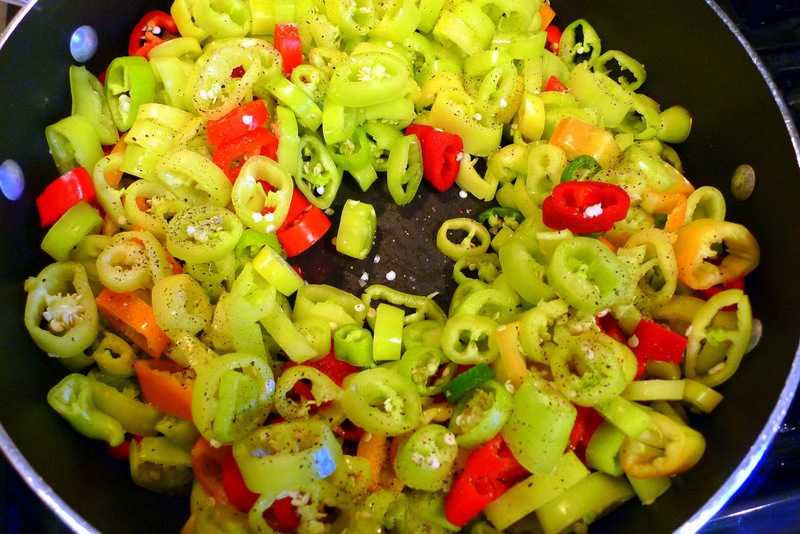 We harvested a colorful basketful of sweet and spicy peppers, sliced them into rounds, sautéed them in olive oil with a smattering of garlic, and used them throughout the week on sandwiches and pizzas and whatever else made us happy. BLTs made an appearance. Juicy garden tomatoes and local bacon squished between slices of toasted ciabatta we’d bought at Mediterra Bakehouse in the West Side Market. And you see that sweet corn in the background? I know I’ve talked about it before, so I won’t go into it too much, but the summertime sweet corn in Ohio really has no equal. 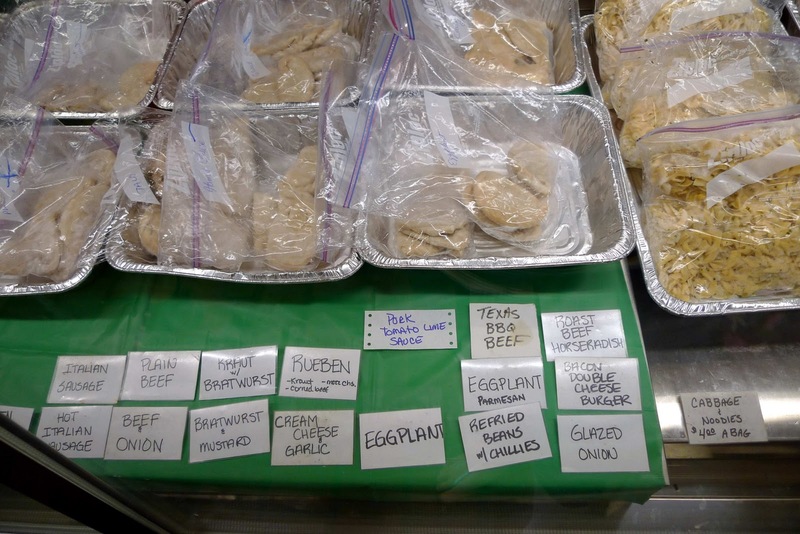 Home-cooked meals during my visits to Ohio are all about familiar comfort food. 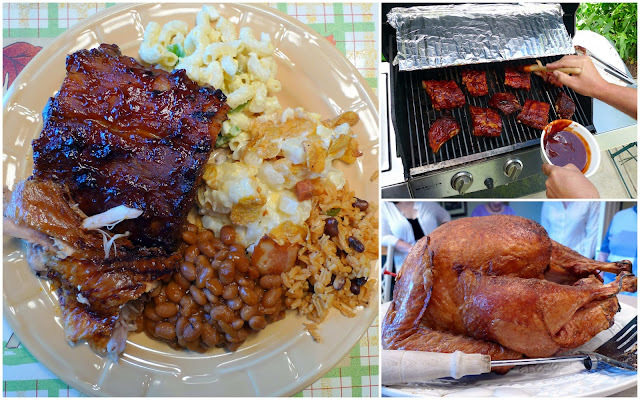 For Labor Day, my dad grilled his famous barbecue ribs and I tried my best to fit them on a plate already overflowing with macaroni salad, baked beans, cheesy potato casserole, turkey, and Puerto Rican rice (which happily makes an appearance on almost all of our holiday plates). The Sanchez clan gathered for a Puerto Rican feast of epic proportions. My cousin Celeste was in town from Tejas and she woke at the crack of dawn so she could slow-roast a garlicky pork shoulder. She cooked a pot of rice and beans while my Aunt Katie fried tostones. A Puerto Rican dinner wouldn’t be complete without pasteles, little labor-intensive packets of love. 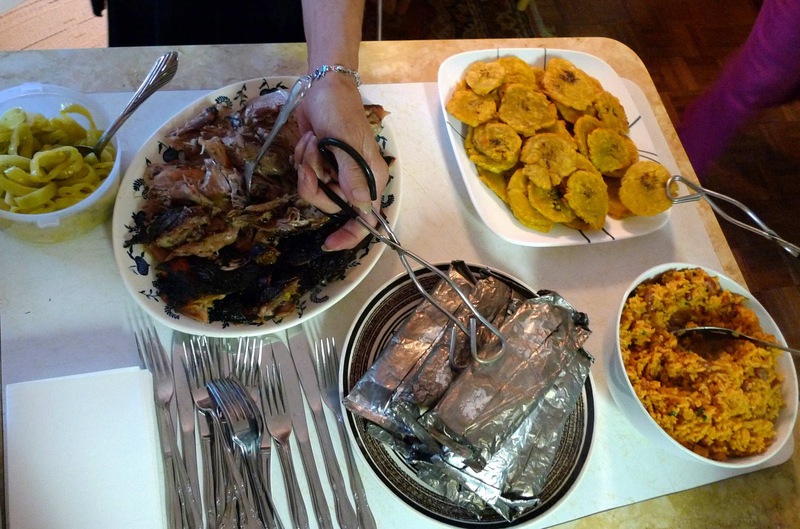 Pasteles are one of the most beloved Puerto Rican dishes and they contain braised pork shoulder and olives tucked into a dough of grated green bananas, green plantains, and calabazas. My family used to have pastel-making parties where everyone would gather and be given a duty: grate the plantains, braise the pork, mix the dough, assemble the pasteles. Hand-grating the plantains and bananas was guaranteed to give at least one person a bloody knuckle or two, and even with the whole family involved it would take at least an entire day to finish a batch. 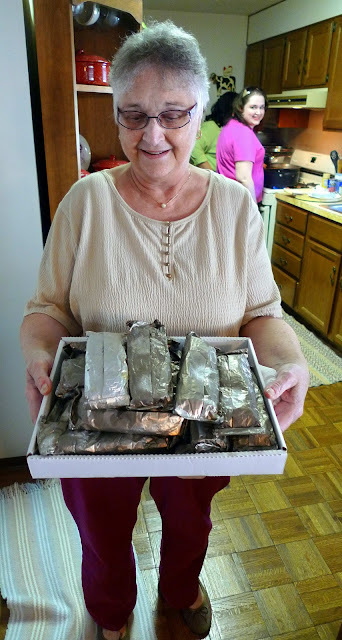 Nowadays, Mimi purchases her pasteles from a Puerto Rican lady who sells them out of her kitchen. If anyone knows of a source for pasteles in Jacksonville, please let me know! I spend a lot of time cooking, but I don’t have THAT much time. My grandma on my Mom’s side is also keeping alive a culinary tradition her family practiced when she was growing up in West Virginia: air-drying shuck beans. Back in the day, my grandma’s family (she was one of twelve siblings!) would grow huge quantities of green beans during the summer. 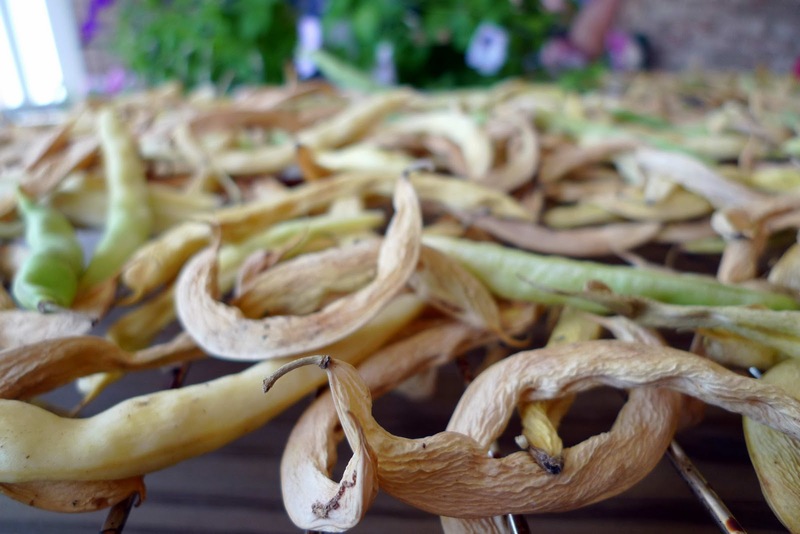 To preserve them for the winter, they would string the beans onto long lines of thread and hang them outside to dehydrate in the sun. Once the beans were dry, they were gathered and used throughout the colder months. My grandma also calls shuck beans “leather britches.” I totally love that. 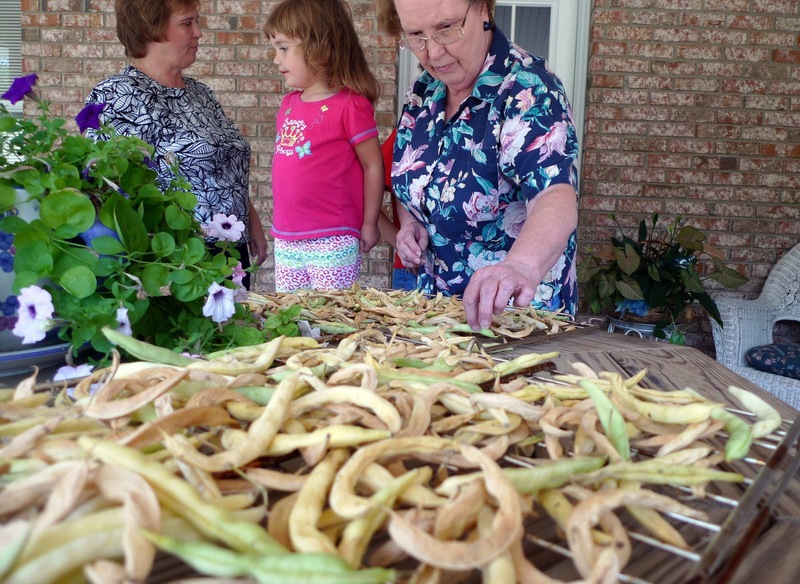 Because she didn’t have a huge quantity to dry this summer, she instead opted to spread the beans on drying racks. To cook them, she soaks them overnight, drains them, adds fresh water and boils them with salt pork until they are very tender. 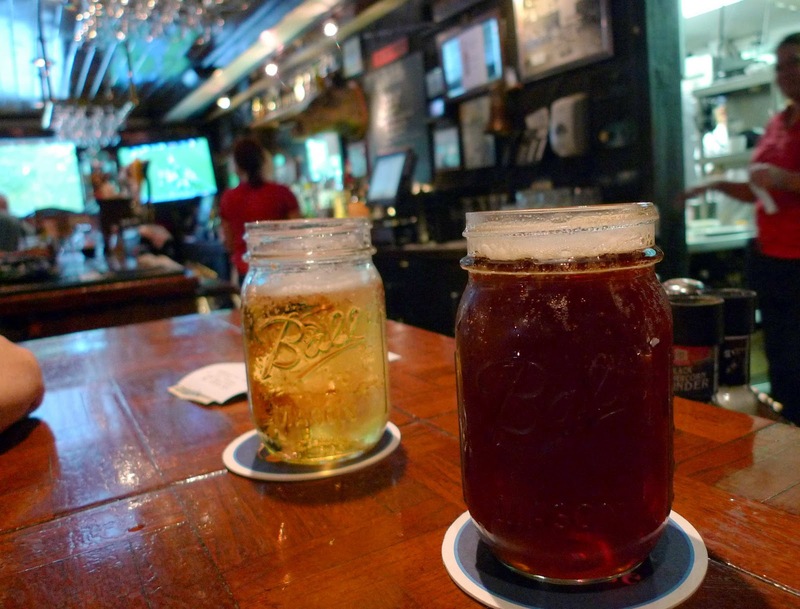 … and sipping beers from mason jars and gobbling up hearty fare from the Iron Bridge Inn in Mercer, Pennsylvania. You always introduce us fantastic places for foods! How nice place this historic market is!! I find that the market was named America's "Best Food Lovers' Market by Food Network Magazine. I would like to enjoy cultural diversity through those ethnic foods. Fall is coming in Kobe. This summer was very hot, though. I am enjoying seasonal things here. I literally don't even know where to start with this. It's 12:51 and my stomach is full-tilt growling. 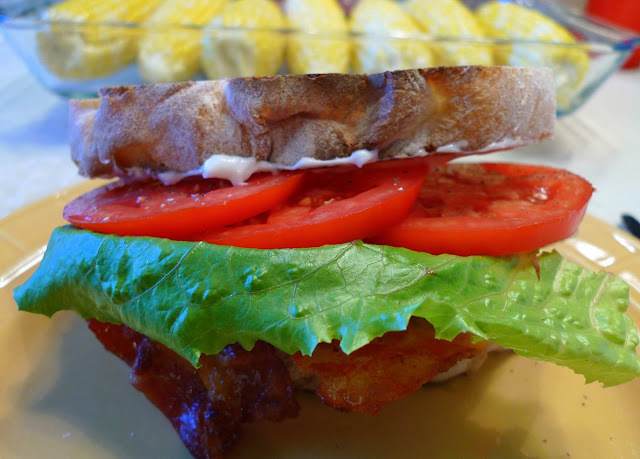 BLT's from heaven... bacon double chzburger pierogies?!... Drunken goat... that pile of kraut... carnivorous delights aplenty (poor vegetarians. Really.)... beers in mason jars... spinach pies... Lebanese anything... Seriously. I need your family to adopt me asap! such gorgeous photography. I know I said it before but, oh man. Perfection. Posting this on the C+C Facebook page! We've been twice so far & everything was great. We moved here from Miami last year & love finding good hispanic food in Jax. Yesterday was my lucky day: I stumbled across your blog when checking out Singleton's Seafood Shack! Great writing, great photography, and the mother lode of information on Jacksonville area eating. Can you recommend any chocolate shops (or places carrying great chocolates) in the Jacksonville area? @Anonymous - Thanks so much for stopping by! 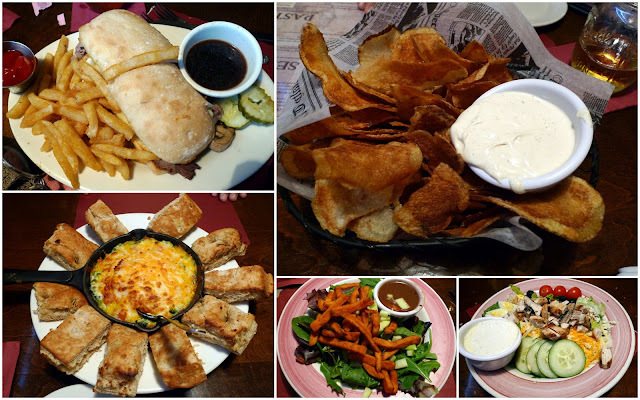 You might also be interested in my Yelp page - lots more Jacksonville restaurant and food reviews there:) cari-vicarious.yelp.com. As far as chocolates go... hmmm. We do have some local chocolate shops but sadly I'm not too crazy about them. There's Peterbrooke Chocolatier here in Jax and if you're willing to drive down to St. Augustine you can try Claude's (my favorite of the bunch) or Whetstone. Good luck, and hope you stop by often!